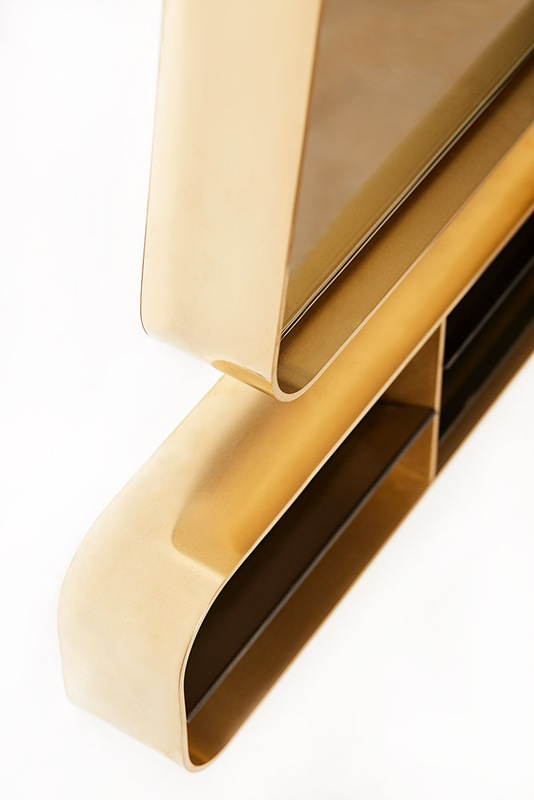 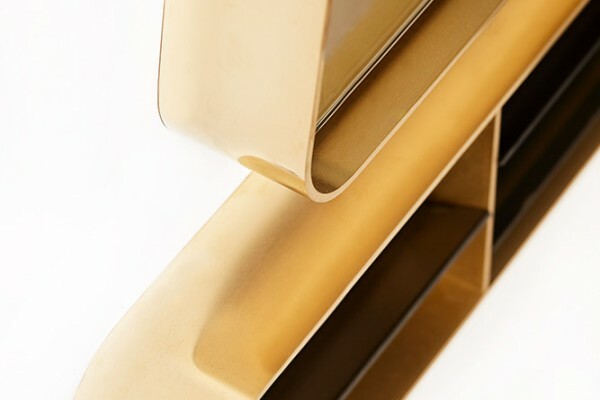 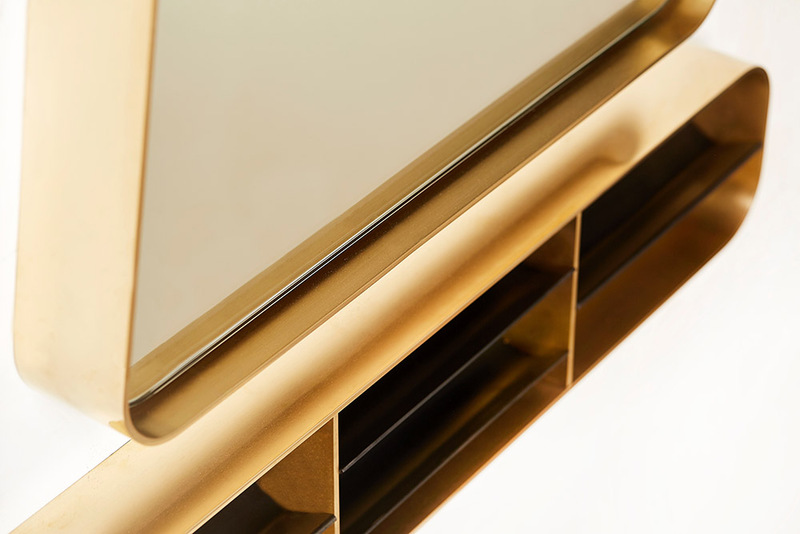 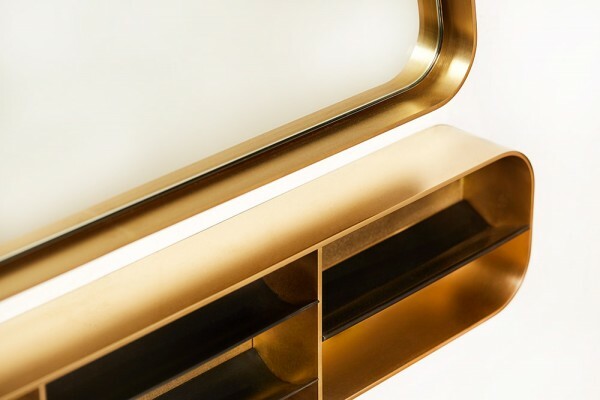 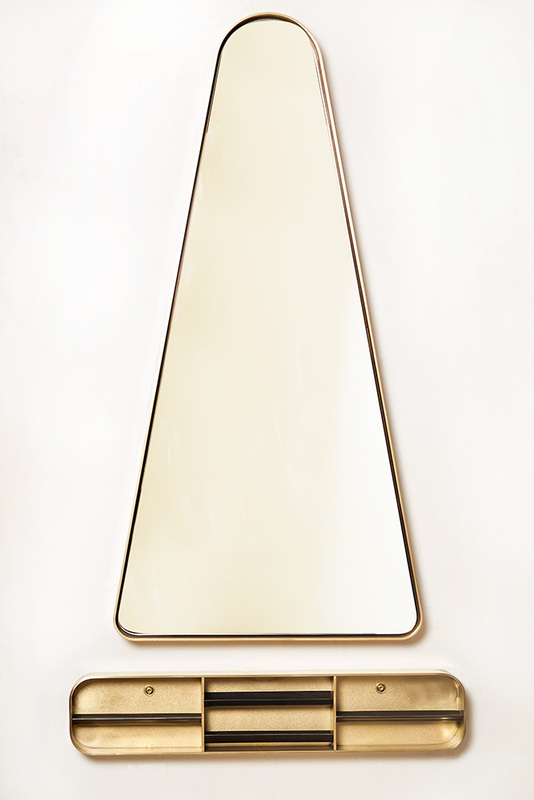 The "Offering Mirror" is not just a mirror but a sculptural object. 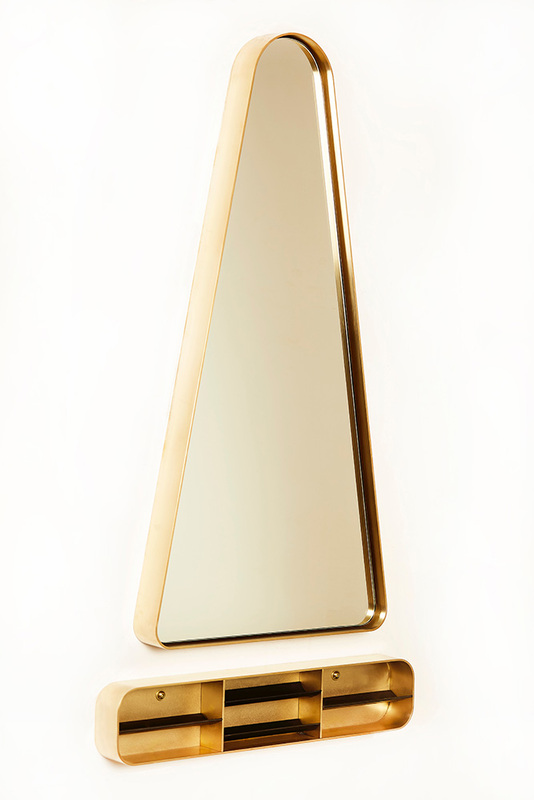 It is one of Evan Z. Cranes many humble offerings at the altar of art and design. 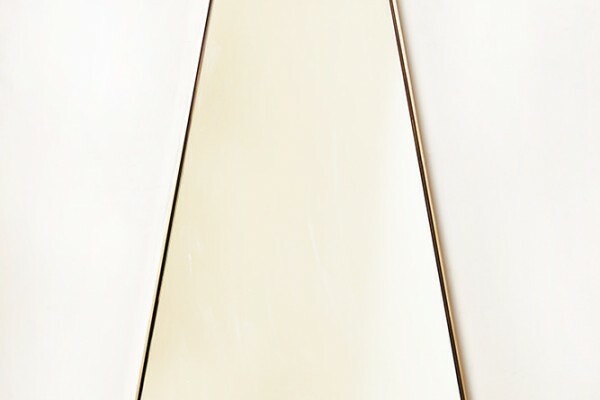 Every aspect of this formed Bronze wall-mounted mirror has been painstakingly obsessed over. 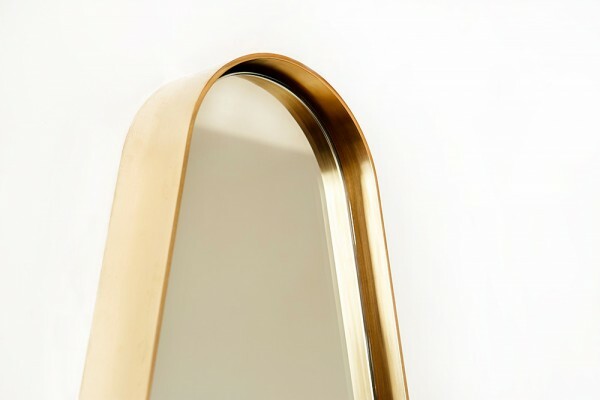 The polished metal finish imbues the piece with the personality of a burnished idol or relic. 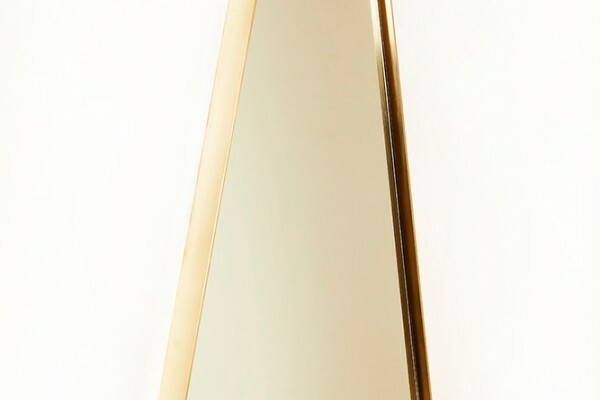 Paired with a blackened steel shelving unit the offering mirror is perfectly suited as an entry way or accent piece.